According to a survey of American teachers, chewing gum during lessons was the biggest challenge in everyday school life in the 1940s. In those days attention deficit hyperactivity disorder was still seen as an organically-caused feeling of being driven, restlessness, minimal brain dysfunction, post-encephalitic behaviour disorders or hyperkinetic reaction of children. Since the 1970s ADHD has been classified as clinical symptom, which has been treated in various ways and only with modest success. But what is behind this phenomenon,which has supposedly affected 7% of the world’s population, this is about 476 million people, in 2010? There is no simple answer to this question, as the experts offer differing explanations. Inattention (for example, forgetfulness, disorganization, disorientation, frequently losing things, careless mistakes). Children, suffering from ADHD, have great problems at school. Many of them have a low self-esteem, which they try to compensate for with aggression, or being the centre of attention. Dealing with children of their own age is difficult, because they have problems adapting to rules and structures. This causes conflicts in the social environment. Further symptoms include: learning disorders, behaviour disorders (destructive or anti-social behaviour), tourette syndrome (disorder based on uncontrollable motor and verbal tics), mood swings, depression, fear, etc. With some children ADHD disappears at the age of puberty, with others the “illness“ remains for a lifetime. A definite cause of ADHD is not known, but doctors assume biochemical irregularities influence the brain areas which are responsible for attention, planning, and physical activity. The fact is that, so far, there is no definite “healing“ of ADHD. However the “problem“ can be dealt with, or at least contained, by psychoactive drugs. In most cases Ritalin (methylphenidat-hydrochloride) is prescribed, but also drugs such as psychostimulants, antidepressants. Numerous scientific publications confirm the regulating effect of psychostimulants and document that they soften both the gross and fine motor skills, and the children become more peaceful. In traditional lessons, which require children‘s understanding of structured or task-orientated connections, the drugs increase the attention. They reduce aggressive , disruptive and contradictory behaviour towards parents, teachers and classmates. There are even cases of ADHD problem-children, who finished a university degree, with the help of Ritalin. The American Thomas Armstrong (Ph.D.), who has been studying this illness since the 1970s, has intervened in this unsatisfactory situation. In his books he opens a new holistic perspective on the “illness ADHD“ for all people looking for help and advice. He has come to the conclusion that ADHD is not an illness! The so-called ADHD-children do not suffer from a disorder, but simply prefer a different way of thinking, being attentive, and behaving. A disorder only results from the wrong way of dealing with the children, and their destructive social and educational influences. Thomas Armstrong believes that ADHD (attention deficit hyperactivity disorder) is not a virus that has been waiting for a chance to become active in our children’s brains for centuries. ADHD is an invention that has been created in laboratories for cognitive psychology in the USA and Canada. Then it was spread by the American Psychiatric Association, the U.S. Department of Education and the chemical laboratories of big pharmaceutical companies all over the world. I totally agree with Thomas Armstrong’s opinion that the children suffering from ADHD, are basically completely normal and healthy human beings who are notsuffering from a pathological disorder. We harm ADHD children more, by telling them that they have a problem called ADHD. Investigations showed that children diagnosed with ADHD were more inhibited in contact with others, because of their feeling of being different. On the other hand, ADHD children are often avoided by their classmates and playmates, as soon as they are diagnosed with ADHD. How can we help children to get on without drugs or reduce the medication of Ritalin? What does a holistic treatment look like? The answer differs from child to child. This is why different alternative methods should be tested individually for each child. This ranges from avoiding dietary allergens (physical level), to holistic learning methods (mental level), to the use of flower essences or homeopathy (spiritual level). 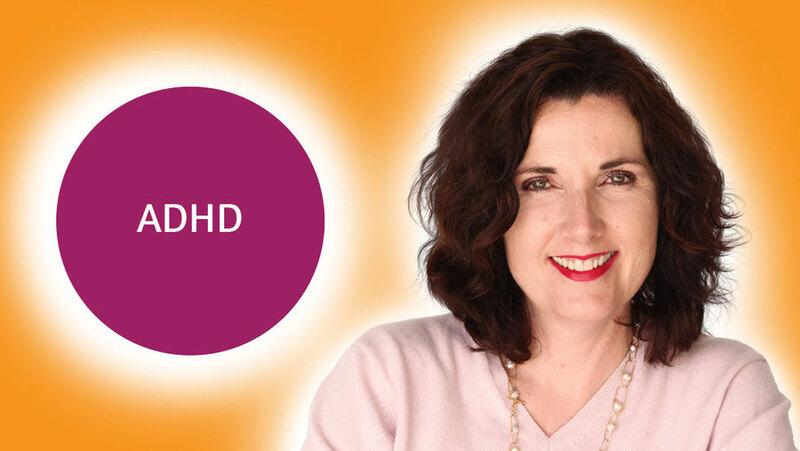 This requires that the ADHD child is not seen as a problem, but a mirror for its environment. Parents and teachers have to ask themselves, “What does the child want to express with its behaviour?” “Who/what does it not get on with?” “What position has it got in the family or class?” etc. You can see that a variety of aspects can be connected with the behaviour problems. They should all be treated like the threads of a tangled ball of wool, which is, of course, not easy. This is why, in many cases parents and teachers fall back on drugs. Looking at ADHD-children, not only from a holistic point of view, but also from a spiritual aspect, one is astonished. It requires honest interest, and absolute openness, for the world of these children. Therefore, you should not automatically dismiss spirituality, or have problems with terms such as reincarnation, channelling, mediality, chakras, aura or angels. Because the spiritual view on these children opens a path into a metaphysical world, which cannot be understood with mind, logic, measurement devices, medical processes, psychotherapeutic approaches or holistic thinking. One of these ADHD-children’s tasks is to make people sensitive for spirituality. Not without good reason are they called ‘Children of the New Age’. Indigo Children, Light or Crystal Children are all included in this term. I agree, these are esoteric terms, which might frighten any intellectually-orientated person. 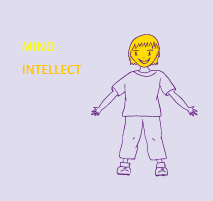 But this is the point: these children, with their unusual metaphysical abilities, came into our life and our society, to provide a chance for many adults to increase their awareness, to let go of old thoughts and to look for the spiritual side of life. Many of the so-called Children of the New Age know their and their parents’ life tasks from an early age. They surprise with clear descriptions of the deceased, who they have never met, are in contact with angels, or remember the time before their birth. There is one outstanding book on this topic called “Ich komme aus der Sonne” (Cabobianco, Flavio M. - author; Brostrom, Ama Hilde - publisher: Falk Verlang, Seeon 1994). Little Flavio caused a flurry of excitement in the early 90s with his metaphysical explanations, stories and drawings. It is not surprising that these children no longer fit into our traditional society, which still clings to old-fashioned educational structures. It is not surprising that these children, more and more, need the chance and understanding to talk about spirituality, to express, and live it. It is not surprising that numerous adults prefer rather to call these children ADHD-children and try to pacify them with drugs, than leave the well-trodden paths of convenience, which would involve self-reflection, considering both the child and its environment. This is a time in which we are undergoing the biggest transformation process in the history of mankind. A time where old values and rules, so-called ‘truths’ are being questioned and completely redefined. From this perspective, the behaviour of the so-called ADHD-children is an essential contribution to this enormous change and upheaval.